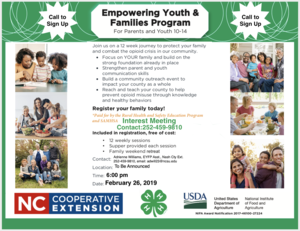 The empowering youth and families program of Nash County invites families with youth between the ages of 10-14 to an interest meeting. 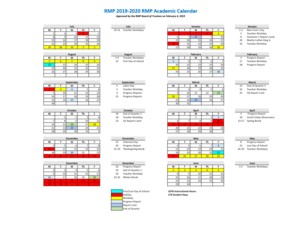 The Rocky Mount Prep Board of Trustees approved the 2019-2020 academic calendar during the regular scheduled meeting on February 4th, 2019. Parents of scholars who will be attending the HBCU college festival are encouraged to attend an informational meeting on Tuesday, February 19. 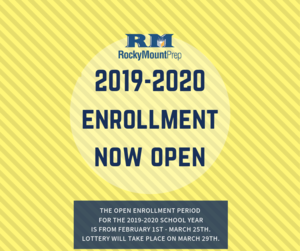 Looking to earn college credit while attending high school at RMPrep? The Career and College Promise makes this possible for RMP Scholars! RMP staff and families are invited to attend February's Grub & Grow on February 12, 2019 featuring wealth building and college savings. Scholars will participate in Jump Rope for Heart to benefit Heart Association. 9th-12th grade scholars are invited to attend the HBCU College Festival Saturday, February 23rd.